If you’re working to separate hot and cold air in your data center, blanking panels are a must-have – but frequently overlooked – item. 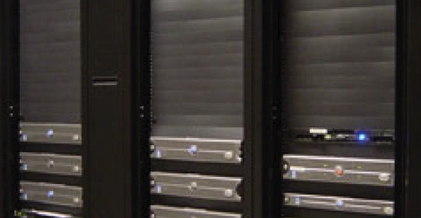 Blanking panels are installed in server cabinets to close off both large and small unused “U” spaces in server racks, reducing internal hot air recirculation within the rack. Leveraging blanking panels to isolate hot and cold air allows you to keep cold air at the front of the cabinet near the server’s air intake. By closing the unused rack openings, you prevent warm exhaust air from mixing with the cooler intake air which allows for more efficient cooling of equipment and minimizes the chance of thermal damage. Blanking panels are an increasingly popular option for facilities that are striving to reach their annual efficiency goals. They’re cost effective, easy to install, and are available in a variety of flexible configurations to grow and evolve with your changing containment needs. Blanking panels will help your server cabinets maintain consistent temperature control and provide a more finished look for your facility.